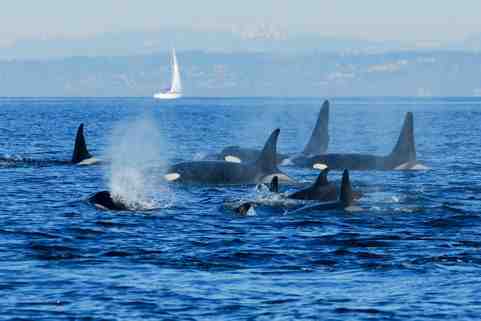 The National Marine Fisheries Service (NMFS) has construed the Endangered Species Act to exclude captive populations of the endangered Southern Resident killer whale population. This means that these endangered orcas are deprived of the protections of the statute and can be exploited for profit by commercial operations. A number of individuals and animal advocacy organizations including the Animal Legal Defense Fund (ALDF), on whose board I sit, brought suit in the Western District of Washington to challenge this interpretation. Fisheries Service; and REBECCA M.
NMFS’s decision to exclude the captive members of the population from the list of endangered species because protecting captive members of a listed species is necessary to ensure that it will not become extinct in the future and can eventually be recovered.